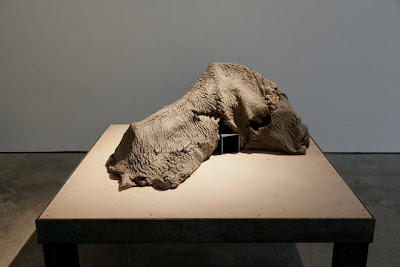 While travelling in East Africa ten years ago, artist Douglas White chanced upon the rotting remains of a dead elephant. "The image of that scene has always stayed with me," he writes. "It was a visceral encounter. Here was a body become landscape, a body both present and absent in which the distinction between the inner and outer had evaporated in the heat and decay." 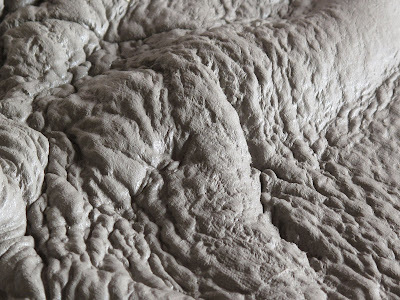 Check out White's uncanny and wonderfully skin-like clay sculptures, inspired by this experience. Douglas White, New Skin for an Old Ceremony runs until 12 November 2011 at Paradise Row, 74 Newman Street, London W1T 3DB.